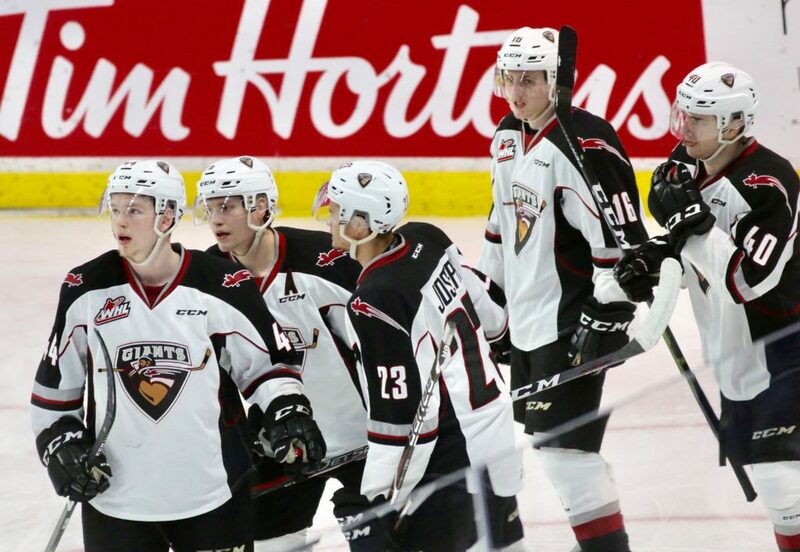 The tension is beginning to build as the Giants best-of-seven first round series against the Seattle Thunderbirds has now become a best-of-three series. 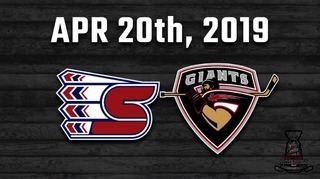 After splitting Games 1 and 2 at home along with Games 3 and 4 on the road, the Giants return to the friendly confines of the Langley Events Centre tonight to battle the Seattle Thunderbirds in a pivotal Game 5. The winner of tonight’s game will move themselves within one victory of advancing to the second round of the playoffs. The Giants are looking to bounce back after a tough Game 4 loss, while the Seattle Thunderbirds are hoping to maintain momentum after erasing a 3-0 lead in Game 4. Tonight’s game kicks off tonight at 7:30 PM. 1999-born forward Matthew Wedman comes into this weekend with five points through the first four games of this series. After managing just one assist over the first two games of the series, Wedman has since posted a goal and an assist in each of the past two games for Seattle. 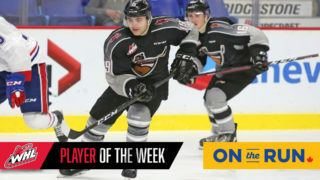 Wedman’s goal on Wednesday night at 15:46 of the third period helped the T-Birds complete their comeback from a 3-0 deficit. During the regular season Wedman led all Seattle skaters with 40 goals and 37 assists for 77 points. It was a 30-point improvement from his previous season high offensively. 1999-born forward Andrej Kukuca scored the game-tying goal in the third period on Wednesday night, and now leads all Seattle skaters in the series with three goals. 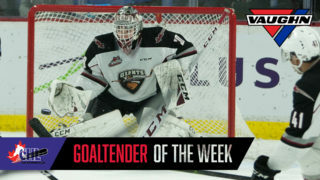 In his first taste of WHL playoff action, Kukuca has been an offensive thorn in the side of the Giants, and leads all Seattle skaters with 16 shots on goal during the series. During the regular season he had 57 points in 59 games – 25 of whichw ere goals. Between Wedman and Philp they have taken 166 of the 241 total faceoffs so far this series for a percentage of 68%. 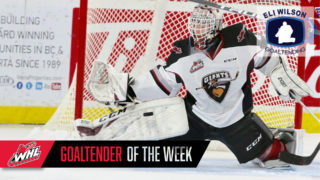 Through four playoff games in 2019, Vancouver Giants veteran forward Davis Koch leads all WHL skaters with seven points. Heading into this weekend, the White Rock B.C. product has posted one goal and six assists for seven points. He also leads the G-Men with a +5 rating and is tied for the team lead in power play points with three. He’s recorded points in all four games of the series so far and is coming off a Game 4 where he scored once and added an assist. In 22 career playoff games Koch has now tallied four times along with 11 assists for 15 points. 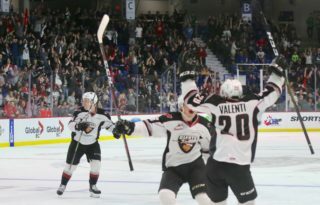 During the regular season Davis Koch led the Vancouver Giants in scoring with 28 goals and 50 assists for 78 total points. He and his linemates Tristen Nielsen and Lukas Svejkovsky have combined for 16 points through four games. Seven of the 17 total goals from the Giants have come from defencemen. All six defencemen in the series for the G-Men have recorded at least one point. The Giants penalty kill at home in this series is 8/9. The Giants power play at home so far in the series is 3/11. Tristen Nielsen has posted one goal and three assists for four points in his past two games.